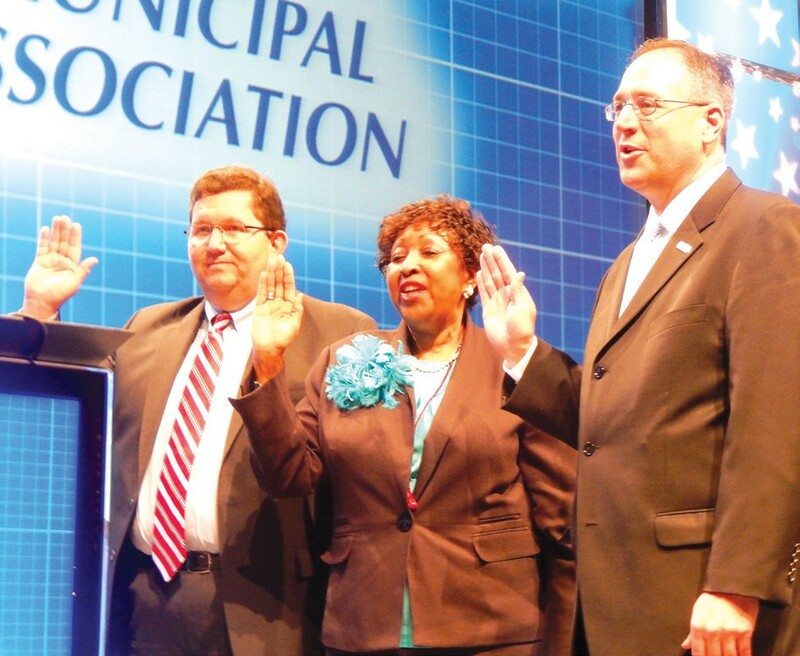 Mayor Edna Jackson was sworn in as 2nd Vice President of the Georgia Municipal Association (GMA) this past Monday, June 23 during GMA’s 2014 Annual Convention in Savannah. The swearing in ceremony took place during the Awards & Installations portion of the GMA Business Meeting in the Ballroom, Savannah International Trade & Convention Center, Hutchinson Island. Mayor Jackson is currently the 3rd Vice President of GMA, she will assume the role as 2nd Vice President when officers take office in 2016. The 2014 GMA convention kicked off Friday, June 20 and ran through June 24. This year’s theme was Excellence by Design. Created in 1933, the Georgia Municipal Association (GMA) represents municipal governments in Georgia. Based in Atlanta, GMA is a voluntary, non-profit organization that provides legislative advocacy, educational, employee benefit and technical consulting services to its members.